incidentally,they left a lovely painting that hangs in the hallway...not sure how to take tha..quite rude really....what are they...critics? gotta dive in and take it on.what other way is there to go?really? 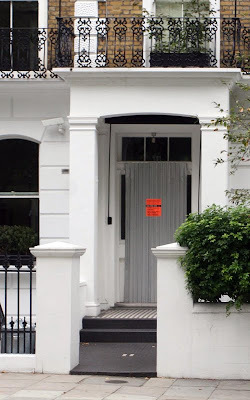 GWEN STEFANI and GAVIN ROSSDALE's celebrity neighbours are on high alert after a gang of burglars attempted to break into the couple's London home. 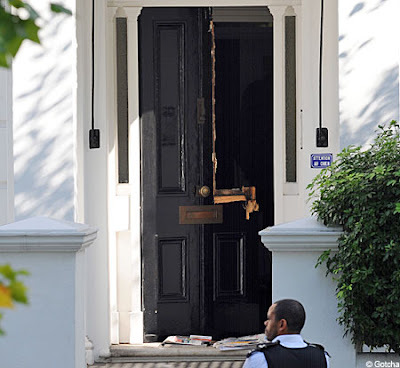 The door to the couple's $6.4 million (£4 million) house in Primrose Hill was smashed open on Saturday night (26Sep09) at approximately 11.30pm local time, according to Britain's Daily Mail newspaper. 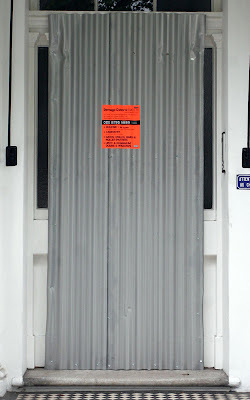 Local authorities were alerted on Sunday (27Sep09) after a passer-by noticed the damaged entrance. The robbers broke into and stole jewelry from the couple's tenant in the ground floor apartment. 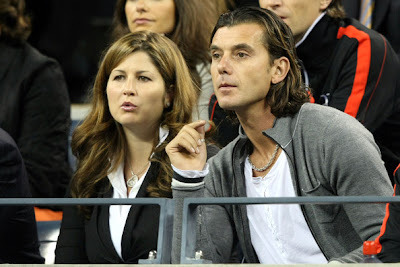 However, thieves were unable to break into the upstairs home shared by Stefani, Rossdale and their two children - Kingston, three, and Zuma, one. 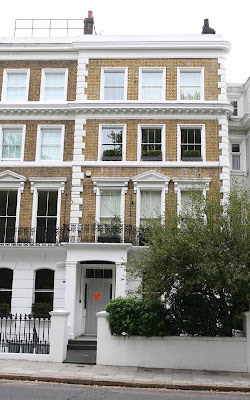 Police sources say the burglars were thwarted because the couple's home is a “very secure venue”. 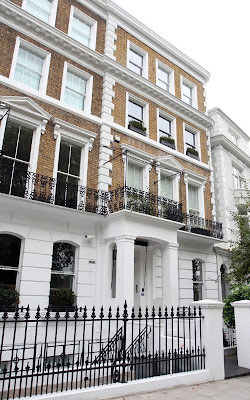 Stefani and Rossdale's neighbourhood is also home to James Bond star Daniel Craig and celebrity chef Jamie Oliver. Gwen Stefani and Gavin Rossdale enjoyed a little family fun in Coldwater Canyon Park in Beverly Hills on Sunday (September 20). While their celebrity pals are busy gearing up for the Emmy Awards, Gwen Stefani and Gavin Rossdale enjoyed a little family fun in Coldwater Canyon Park in Beverly Hills on Sunday (September 20). Accompanying their young son Zuma, who appeared to be taking his first steps, the happy family took to the swingset as they made the most of a beautiful day on the west coast. As previously reported by Gossip Center, Gwen and Gavin are recently returned home after a long stay in New York City. The couple were in the Big Apple during the Mercedes Benz fashion week festivities, also taking in the US Open tennis tournament during the course of the week. Back on the west coast following a trip to New York City, Gwen Stefani and Gavin Rossdale were spotted out in Bel Air on Wednesday afternoon (September 16). The No Doubt singer and her Bush hubby walked side-by-side as they headed to their nearby car following a lunch date at the Beverly Glen Deli. As previously reported by Gossip Center, the loving couple spent the past week in the Big Apple as Gwen presented her LAMB line during the Mercedes Benz Fashion Week festivities. 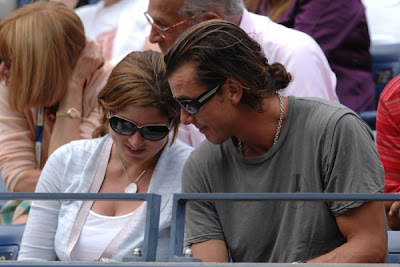 Aside from the fashionable endeavors, the duo also were regulars at the US Open tennis tournament, cheering on their good pal, Roger Federer, who ended up losing in the finals to Juan Martin del Potro in a five set classic. (L-R) Editor-in-chief of Vogue Anna Wintour, Mirka Federer, Gwen Stefani and Gavin Rossdale at the match between Roger Federer of Switzerland and Juan Martin Del Potro of Argentina on day fifteen of the 2009 U.S. Open at the USTA Billie Jean King National Tennis Center on September 14, 2009 in the Flushing neighborhood of the Queens borough of New York City. 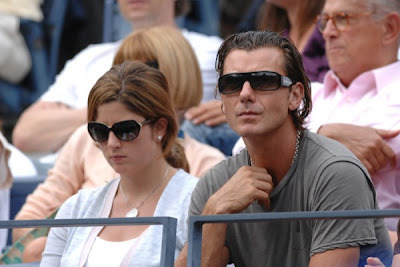 (L-R) Editor-in-Chief of Vogue magazine Anna Wintour, singer Gavin Rossdale and singer Gwen Stefani watch the match between Roger Federer of Switzerland and Novak Djokovic of Serbia on day fourteen of the 2009 U.S. Open at the USTA Billie Jean King National Tennis Center on September 13, 2009 in the Flushing neighborhood of the Queens borough of New York City. This is the time for the world to show solidarity with the people of Pakistan. Spearheaded by musician and UNAIDS Goodwill Ambassador Salman Ahmad, a special event will be organized on September 12th, 2009 to bring together a range of well-known artists and personalities in a display of unity to raise awareness as well as funds for Pakistani IDPs. more..
Gwen Stefani had a few of her biggest fans on hand to celebrate last night's launch of her new L.A.M.B. 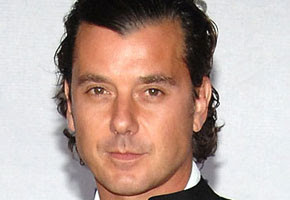 collection at New York Fashion Week: Her husband Gavin Rossdale and their entirely adorable boys Kingston, 3, and Zuma, 1. "But oh what fun the clothes were – slinky overdyed jeans with slung down suspenders paired with a tough stretch biker blazer, coquettish blouses that casually fell off the shoulder," writes Newsday fashion blogger Anne Bratskeir, adding, "Definitely the way to channel your inner rock star. Speaking of which, when the smiley and svelte Stefani took her bow, well, natch, she fit right in with her models." 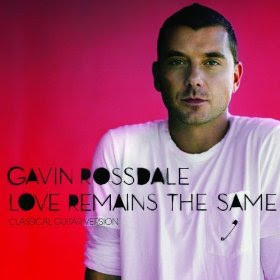 For the chance to meet Gavin at the event and to support this important cause, visit www.platform-1.com. 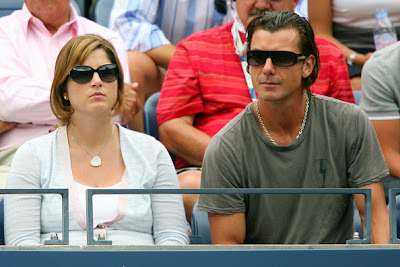 Mirka Federer (L), wife of Roger Federer of Switzerland and musician Gavin Rossdale watch him play his match against Robin Soderling of Sweden during day ten of the 2009 U.S. Open at the USTA Billie Jean King National Tennis Center on September 9, 2009 in the Flushing neighborhood of the Queens borough of New York City. looking across central park-it looks like cabbage salad but tastier. 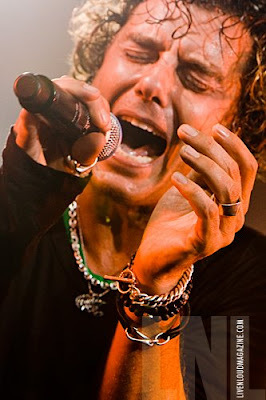 Bush frontman Gavin Rossdale will rock it out on "Criminal Minds" this season. 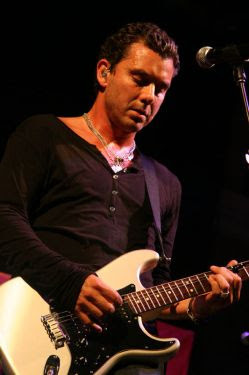 CBS announced Wednesday that Rossdale will guest star on an episode of the crime drama this fall, playing a Goth rock star who gets a bit too consumed by the scary alter-ego he plays on stage. The Behavioral Analysis Unit, however, suspects that this alter-go might actually be a serial killer. 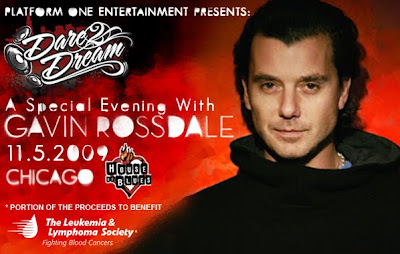 Rossdale, who's married to Gwen Stefani, has exercised his acting chops before in films such as "Constantine," "Little Black Book," "Game of their Lives" and "How to Rob a Bank." The new season of "Criminal Minds" premieres on Wednesday, Sept. 23 at 9 p.m. ET/PT. Making their way to the Big Apple ahead of the New York Fashion Week festivities, Gwen Stefani and Gavin Rossdale were spotted out for a romantic dinner date on Tuesday night (September 8). In related news, it was just announced that Rossdale will be testing the waters of primetime television with a guest appearance on CBS’ “Criminal Minds”. Reportedly playing a Goth rock star who becomes a suspect in a murder case, the date of airing has not yet been released - though it is known that it will be sometime in November.